Movie Plot/Storyline: Flint Lockwood thinks he’s a genius. But none of the things he invented are things that make sense or are useful. However, he has the support of his mother but when she dies, he’s left alone with his father who thinks he should give it up. When the community that he lives in is in an economic crisis because their primary source of income, a sardine cannery, was shut down, Flint decides to try his latest invention, a machine that can turn water into food. 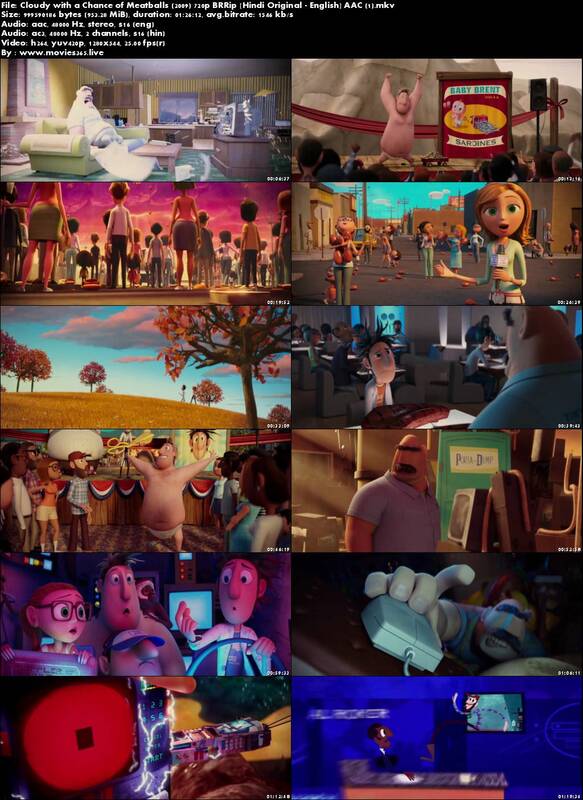 Cloudy with a Chance of Meatballs is a 2009 American 3D computer-animated science fiction comedy film produced by Sony Pictures Animation and loosely based on the 1978 children’s book of the same name by Judi and Ron Barrett.